In line of full spectrum of deterrence, Pakistan has tested Ababeel Missile on 24The January 2017 based on Multiple Independently Targetable Reentry Vehicle (MIRV) technology. Earlier on 9th January 2017, Pakistan tested Babur III ballistic missile from deep sea to surface assuring credible second strike capability. This enabled Pakistan to deter enemy from surface, Sea and air. While, Pakistan first nuclear strike capability remained intact, Pakistan has once again achieved a balance status in South Asia which was disturbed by India with testing of different Missile; K-4 from sea to achieve second strike capability in May 2016 and testing Agni IV has 4500 Kilometer range and Agni V can target an object at 5500 kilometers and claimed Ballistic Missile Defence Shield. According to Indian claim Agni IV is meant to hit a target in North China but Agni V range has said to be 5500 to which China added that Agni V can hit a target up to 8000 kilometers. This range covers whole of Europe and even USA. What is significant about Ababeel missile is that it is capable of delivering multiple warheads, using the MIRV technology. Ababeel is capable of delivering nuclear warheads and has the capability to engage multiple targets with high precision, defeating the enemy’s hostile radars, the Inter Services Public Relations (ISPR) said. The test flight was aimed at validating various design and technical parameters of the weapon system, said the military’s media wing. This time Pakistan showed latest technology capability in MIRV through firing and hitting the target with precision up to 2200 Kilometers. Ababeel missile is a bucket of missiles firing from the air targets in multiple directions and each one capable of carrying nuclear warheads. Being Cruise missile, it knows the targets and neutralizes the Ballistic Missile Defense (BMD) of India. According to Indian media reports India last year tested a ‘locally designed’ anti-ballistic missile system, which could in theory intercept a nuclear-carrying ballistic missile. To build BMD requires lot of time and money that India spent. Indian Media is habit of creating hype and it boasted last year that India have successfully tested the ballistic missile defense shield system, an expansive and complicated technology that seeks to prevent a missile attack from Pakistan. 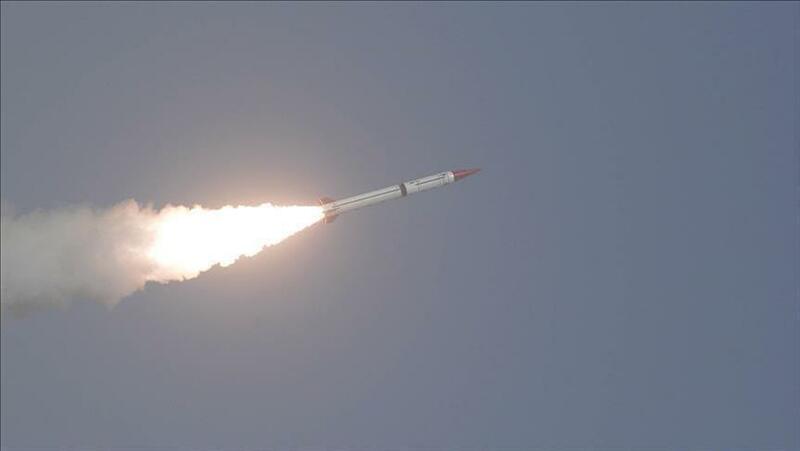 The successful testing of Ababeel came days after Pakistan conducted the first-ever submarine-launched cruise missile Babur- III, which gives the country ‘credible second strike capability’. Pakistan has now effectively acquired the capability to launch a missile from land, air and sea. The development of submarine-launched missile system will make Pakistan retain the ability to hit back at enemy in case its first strike capability is destroyed. India must understand what former COAS General Raheel Sharif once said that Pakistan’s defense is invincible. If it decode his words, it could come to conclusion that Pakistan has full spectrum of defense; Cyber, Laser, Non-Kinetic war, Hybrid war, Asymmetric War, most devastating Nuclear one or traditional war, India will be neutralized in all cases. This demands that India should come on the table to resolve the outstanding issues including Kashmir for the safety of its people, the people of South Asia and the mankind. Mr. Nusrat Mirza ( Chief Editor of Monthly Interaction) is a Pakistani and International Political Scientist, Television Personality, Geo-Strategic Affairs Analyst, Author of 15 Urdu and 2 English books and has been writing columns since last 25 years on strategic and current affairs on daily basis.